I’ve had the good fortune over the past 5 years or working closely with Dr. Rashid A. Buttar, working on his various special projects, websites and product launches. 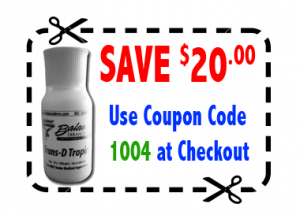 One of the most amazing products I’ve been able to try, is something called Trans-D Tropin. It’s a product that helps your body produce it’s own natural human growth hormone. There’s lots of controversy about Human Growth Hormone Injection, because it can increase your risks for cancer. However because this is natural and stimulates your body to generate only the hormones it needs, it’s perfectly safe. While taking this product, I’ve noticed a great increase in energy and less aches and pains. The biggest benefit I’ve noticed is increased quality of sleep. I have such vivid dreams, which I can actually remember when I wake up! If you are interested in learning more about this product, visit this link to learn more. If you decide you want to check it out, you can enter Coupon Code 1004 at checkout to Save $20 off your initial order. If you have any questions, please don’t hesitate to ask!